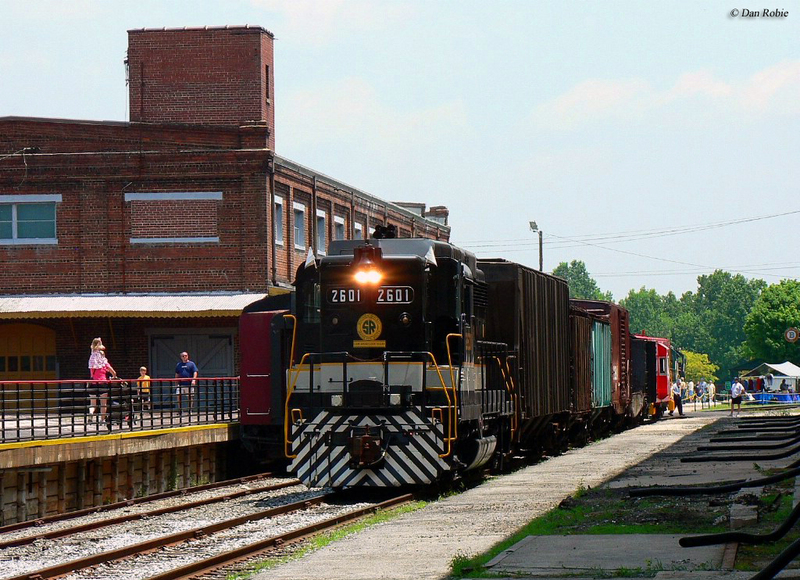 The North Carolina Transportation Museum (NCTM), is located at Spencer on the former grounds of Southern Railway’s largest steam locomotive repair shops. Today the museum sees tens of thousands annually and is housed in three of the old shop buildings (currently); the Bob Julian Roundhouse, the Flue Shop, and the Master Mechanics Shop. Since its beginnings in the late 1970s the museum has grown to become one of the country's largest and most respected. 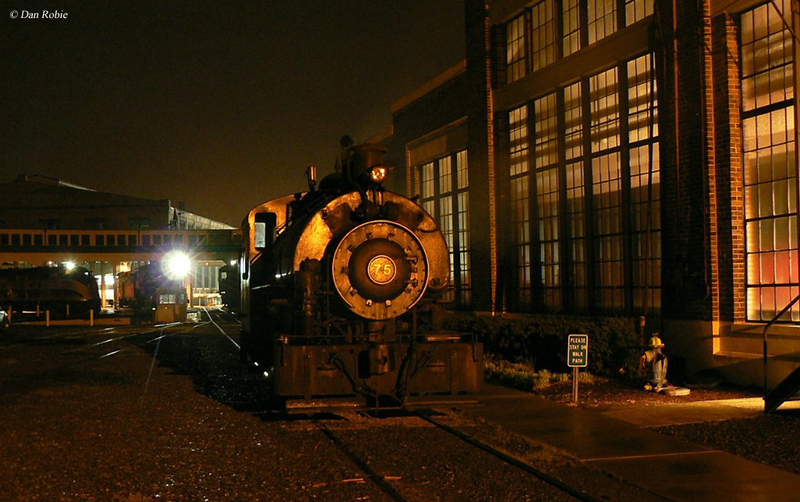 It not only offers visitors the chance to see numerous pieces of historic railroad equipment, many of which are preserved in their roundhouse, but also the chance to ride trains on the property as well. If you are in the area or are interested in visiting one of the finer establishments in this field of preservation I would highly recommend a visit to NCTM. 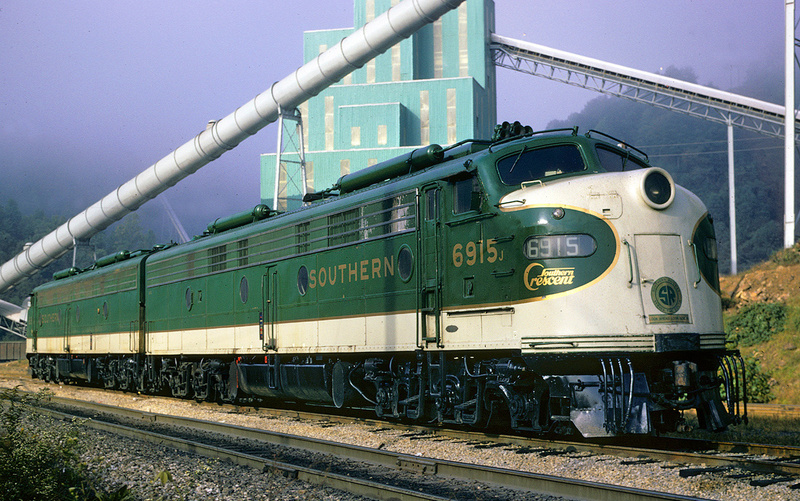 The museum has its beginnings dating back to 1977 when the Southern Railway donated four acres of its Spencer shop complex (including three buildings) to the state of North Carolina (another donation occurred in 1979 when the Southern donated more shop buildings and structures to the state). Not surprisingly, in that same year, 1977, the North Carolina Transportation Museum was set up to begin soliciting for not only historical railroad artifacts and pieces but others was well including wagons, automobiles, and even aircraft. Today the North Carolina Transportation Museum houses a vast collection of railroad artifacts in its Bob Julian Roundhouse, many related to the state itself in some way and nearly all restored in either cosmetic or operating condition. 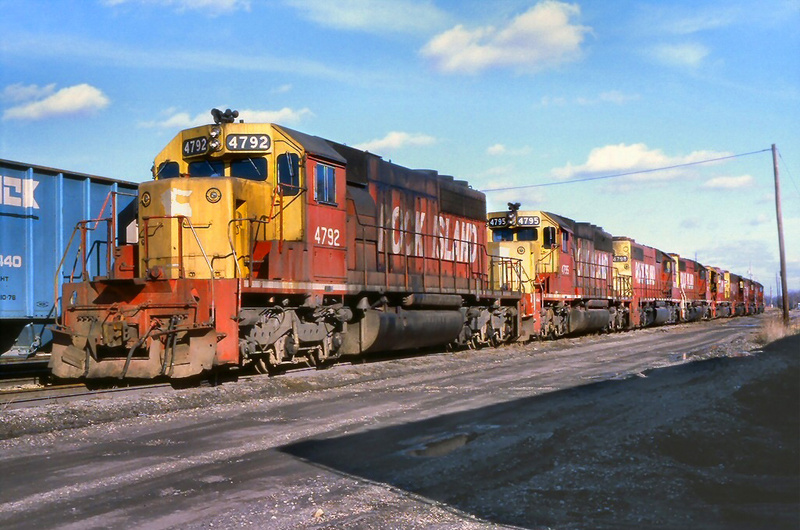 Some of the many pieces in operation on site include Graham County Railroad Shay #1925, Southern Railway GP30 #2601, Norfolk & Western GP9 #620, NCPA Fairbanks-Morse H-12-44 #1860, and Southern Railway E8 #6900 (in the railroad’s beautiful Crescent livery). Other pieces on site include Atlantic Coast Line E3 #501, Seaboard Air Line 2-10-2 #544, and recently acquired ex-Amtrak FP40 #307. This, of course, is just the locomotive pieces on site as the museum also houses numerous freight cars, an old steam crane, and several other pieces of equipment. Likewise, there are many various exhibits to see in the three shop buildings; the Bob Julian Roundhouse, the Flue Shop, and the Master Mechanics Shop. The museum is also always looking for volunteer help with the many various restoration projects they ongoing (right now they are working on Spencer #604 a Baldwin-locomotive steam locomotive, restoration on the Back Shop, N&W Combine car, and a former hospital car), so if you are interested please feel free to contact them to let them know how you can help! 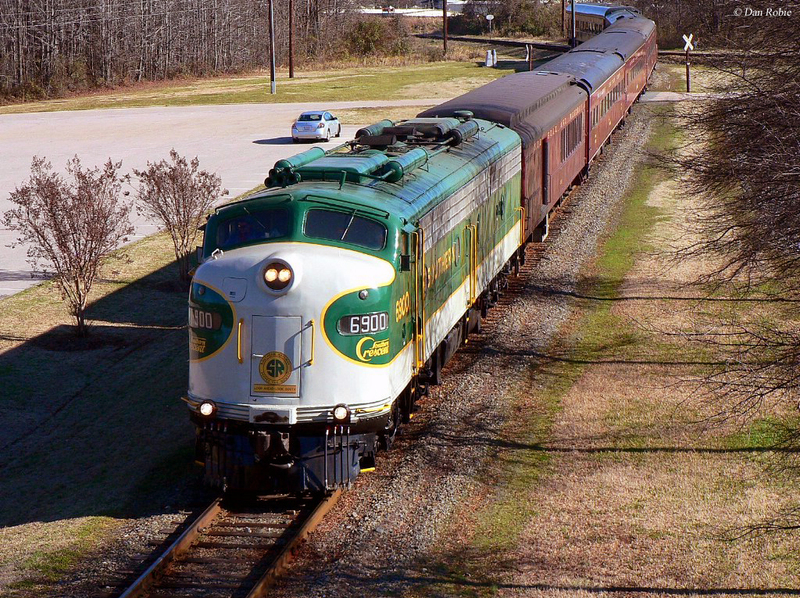 The North Carolina Transportation Museums is also one of the only two locations, which keep a Day Out With Thomas locomotive on-site year round. Typically, the museum tries to showcase the famous character two or three times a year between September and October. 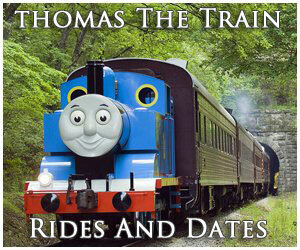 Along with Thomas the museum offers other events just for kids including summer camps (offered each year, these camps typically are held during July and help teach kids the history of railroads and transportation as it affected the state of North Carolina) and Birthday Cabooses. Finally, the museum has special events for Boy and Girl Scouts as well. As for the train rides themselves at the museum these are offered year-round; during the winter months it is usually just a day or two a week while during the warmer months rides usually run between Thursday and Sunday. In last few years NCTM's stature has risen immensely with several notable events and activities taking place there. 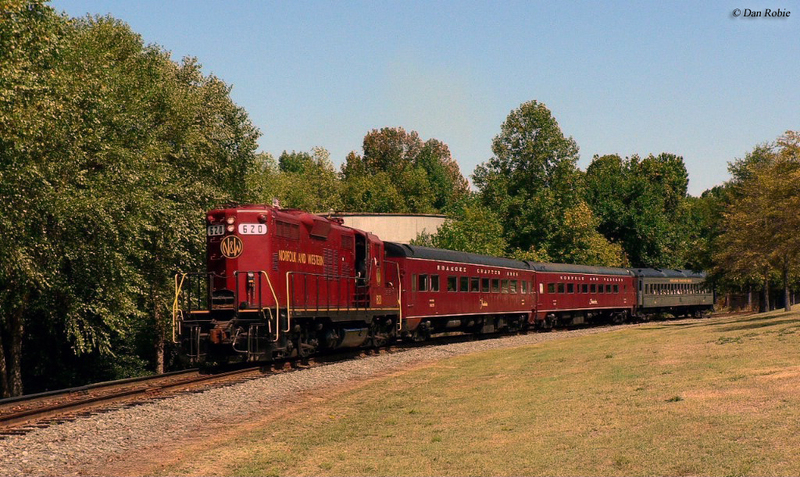 First, during the July 4th holiday in 2012, in conjunction with Norfolk Southern the museum held a large celebration 20 heritage locomotives adorned in liveries of predecessor railroads which make up the current NS system. Two years later in the late spring of 2014 NCTM held the "Streamliners At Spencer" event with several pieces of historic equipment celebrating the sleek designs common during the last great age of passenger rail travel. The ending of this event coinciding with the much anticipated restoration of Norfolk & Western J Class #611, which took place within the roundhouse. 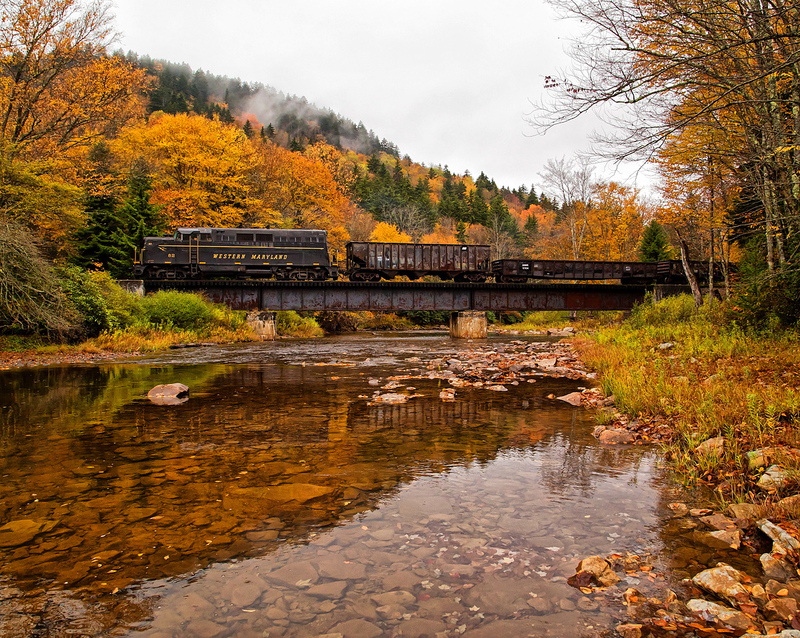 The project was completed in May of 2015, returning the big 4-8-4 to excursion service. 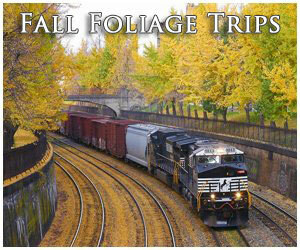 The train trips are not long, traveling about a mile or so around the 57-acre site and lasting for about 25 minutes. 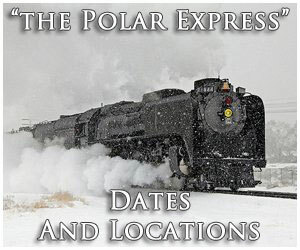 Additionally, the museum offers turntable rides, and other special events aside from Thomas the Tank Engine such as the Easter Bunny Express and Christmas excursions (they do not yet offer the true Polar Express experience although they do feature a Santa train and "Jingle Bell Express"). Everything listed here is just a sampling of what NCTM truly has to offer, which should be noted is not only rail-related. For instance, they also showcase historic aircraft, cars and trucks, other automobiles, and much more (such as smaller static display pieces). 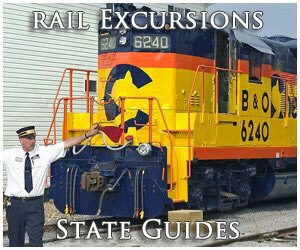 For more information about the North Carolina Transportation Museum please visit their website.